A French court has nullified a Paris suburb's decision to offer honorary citizenship to the Palestinian activist Marwan Barghouti, who is currently serving multiple prison sentences in Israel. The Administrative Court of Montreuil ruled that the June decision made by the Aubervilliers municipality, which is run by the Communist Party, could affect public order. The judges said that the municipality's decision involves a major misjudgement because it is about an issue that is related to French foreign policy towards an international conflict. The ruling was made after the National Bureau for Vigilance Against Anti-Semitism filed a complaint against the Aubervilliers decision. The municipality decided to honour Barghouti because it regards him as "a man of peace and dialogue working for a peaceful resolution to the Israeli-Palestinian conflict." Violent confrontations broke out on Thursday as the Israeli occupation forces (IOF) rolled into Jerusalem’s town of Abu Dis and stormed Palestinian family homes. Eye-witnesses said the IOF kidnapped the 20-year-old youngster Arafat Hdeidoun from Abu Dis after they broke into his family home, resulting in a wave of confrontations. The clashes spread out to al-Izriya town, where the IOF showered Palestinian homes and citizens with heavy spates of tear gas canisters. Earlier, afternoon Wednesday, the IOF stormed the house of Sharif Sharawna in the Old City of Jerusalem and wreaked havoc on the building. The house owner Um Alaa said the IOF troops summoned her son for interrogation a few days earlier and sent him back home after they threatened to detain him sometime soon. She said a state of panic overwhelmed her grandchildren, adding that the break-in has not been the only one of its kind as the IOF stormed her family home several times before in search for her wanted son Asid. Israeli soldiers kidnapped, on Thursday at dawn, a Palestinian university student from Rommana village, west of the northern West Bank city of Jenin. 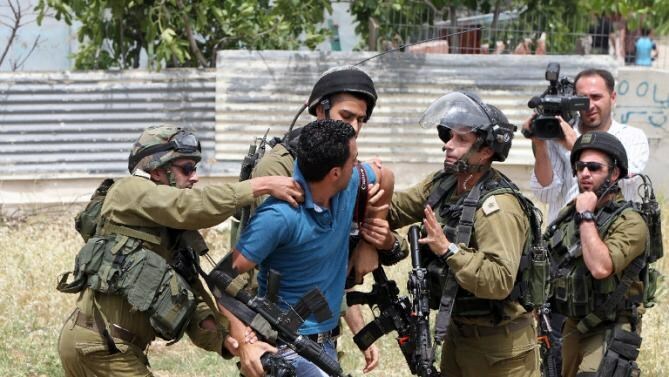 Eyewitnesses said a large military force invaded the village after surrounding it, before several soldiers broke into the home of Mohammad Abu Saifein, violently searched it, and kidnapped his son Mahmoud, 21 years of age. Dozens of soldiers were also deployed in different neighborhoods in the village, and clashed with local youths who hurled stones and empty bottle on them, while the army fired rounds of live ammunition, gas bombs and concussion grenades. In related news, a Palestinian detainee, identified as Ahmad Jamal Shanayta, 36 years of age, received an Administrative Detention order without charges, for the third consecutive time. Shanayta was kidnapped in November 20 2014, and has been held under repeatedly renewed Administrative Detention orders. He is a married father of four children, from the al-‘Obeydiyya town, in the West Bank district of Bethlehem. The Palestinian Prisoners Society (PPS) has reported, Thursday, that a detainee suffered health complications but is still denied access to treatment. 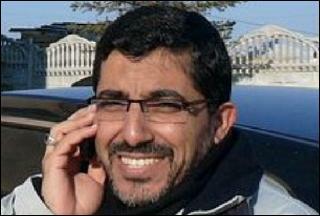 The PPS said that one of its lawyers managed to visit Haitham Jaber, 40 years of age, in the Ramon Israeli prison. Jaber told the lawyer that he suffers sharp pain in his head, and is frequently vomiting, in addition to other complications that are gradually weakening his body. The detainee underwent medical checkups, but never received a diagnostic of his condition, and is currently only receiving painkilling pills. 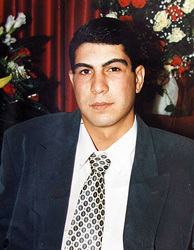 Jaber was taken prisoner by the Israeli army in 2002, and was sentenced to 28-year imprisonment, allegedly for membership in an armed resistance group. He is from Hares village, in the central West Bank district of Salfit. 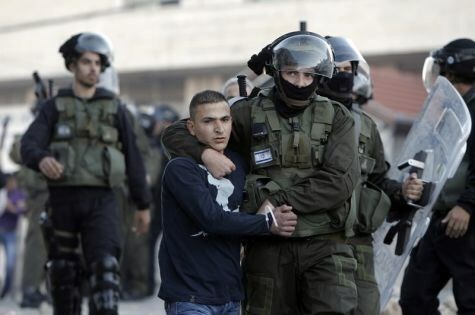 Eight Palestinians nabbed in West BankThe Israeli Occupation Forces (IOF) arrested at dawn Thursday five Palestinians throughout occupied West Bank, while three others were detained overnight in occupied Jerusalem. 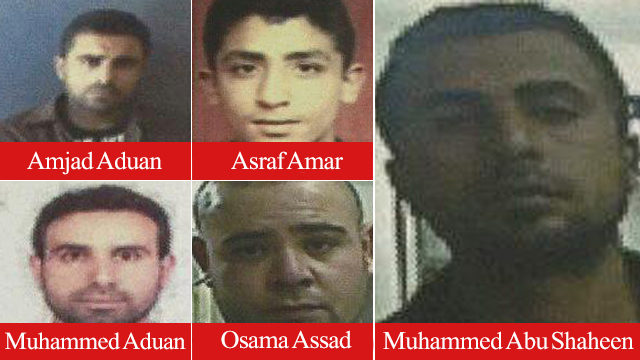 Israeli media reports said that five “wanted” persons were detained since the early morning hours in West Bank and transferred to Israeli investigation centers. One of the reported detainees is affiliated to Hamas movement, while the four others were arrested for being involved in attacks against Israeli forces and settlers, the sources claimed. 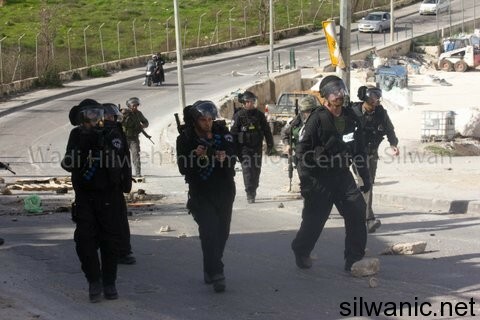 The arrests were carried out in different towns of Jenin, Ramallah, Qalandia, and al-Khalil. Meanwhile, three Jerusalemites including a minor and two brothers were kidnapped in Silwan and Beit Hanin town to the north of occupied Jerusalem. The 10-year-old child was then released after few hours of his arrest. 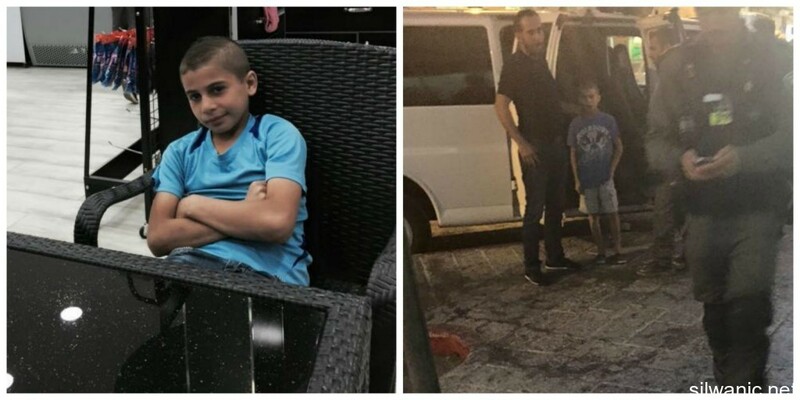 The occupation police released the 10 year old child Sultan Samer Sarhan on Wednesday evening after interrogating him for several hours in Al-Maskobye police detention center. 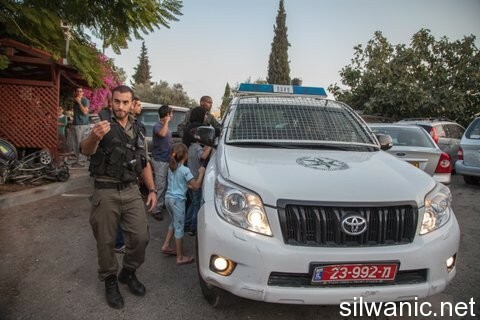 Wadi Al Hilwe information center lawyer stated that the police released the child without restrictions or terms after interrogating him with charges of “throwing stones at a settler’s vehicle parked in Al-Ein Street in the town of Silwan”. From her part, the Child Sarhan’s mother said the the Israeli forces “Special Unit” arrested her child when he was present at a shop in the neighborhood of Silwan, they took him to the police station at ‘Sallah Al Din’ Street – accompanied by his cousin – he was interrogated for throwing stones at a settlers vehicle in Silwan causing physical damage to it. His mother added that the detective intentionally scared and threatened he child Sultan during the interrogation. The child Sultan is the son of the martyr Samer Sarhan that ascended by bullets shot from the settlers guards in September 2010. 24 Palestinian women including five mothers mark Eid al-Fitr in Israeli jails away from their families and children, Palestine Center for Prisoners Studies said. While Muslims all over the world celebrate a normal Eid, five Palestinian mothers can not celebrate Eid holiday with their families and beloved ones. Palestinian female prisoners feel down during Eid holiday as they are away from their children, parents and beloved ones; but they transcend the painful dismemberment by their communal talks and making sweets, Head of the center Riyadh Ashqar said. The female detainee Yasmin Shaban, 32, a mother of four children was detained on November 2014 and sent since then to Hasharon prison. She suffers many health problems including stomach pains and breathing difficulties. The prisoner Muna al-Sayah suffers from emotional symptoms whenever she remembered her children especially that her husband is a cancer patient who could not take a good care of them. The female prisoner Aliya Abassi, who was detained on April 2015 and sentenced to two years, suffers from different diseases including asthma, diabetes, and high blood pressure. She has six children, one of them is held behind Israeli bars. The female MP Khalida Jarar has met her daughters three weeks ago for the first time since her arrest last April. The elderly prisoner Siham Batat is also passing this year’s Eid away from her family and sons whose one of them is also detained in Israeli jails. The center called on international institutions concerned with women’s affairs and rights to work on Palestinian women and girls’ release from Israeli jails especially that most of them were illegally detained. 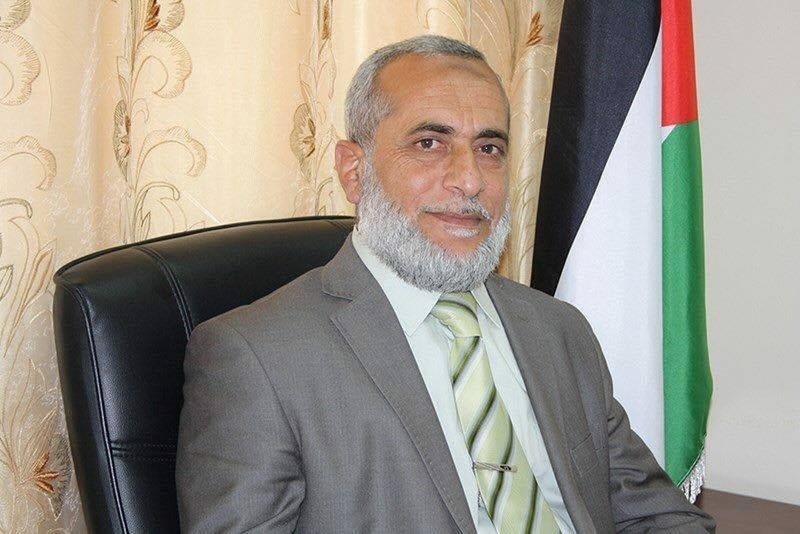 The Israeli occupation authorities (IOA) on Thursday are expected to release member of the Palestinian Legislative Council (PLC) Dr Azzam Salhab and journalist Alaa al-Titi on Thursday. The Israeli prison authorities at the Negev jail updated MP Salhab of their intent to release him on Thursday after he had served his administrative prison-term, the detainee’s son said. MP Salhab had been kidnapped four times since 2006, the year when he officially joined the PLC’s member staff. He was arrested in a West Bank campaign launched by the Israeli occupation army during last summer’s offensive on the blockaded Gaza Strip. The IOA are also expected to unshackle the Palestinian journalist Alaa al-Titi after he has served 10 years in jail. Salhab and al-Titi are to be received at the al-Dhahriya checkpoint, to south of al-Khalil city. The Judge at the Magistrate Court sentenced and Jerusalemite and extended the detention of another. Al-Dameer institution lawyer Mohammad Mahmoud stated that the Judge at the Magistrate Court sentenced Yousef Nasser Abu Juma’ actual imprisonment for 6 months and one day, with charges of throwing stones and a financial fine of 3 thousand Shekels, 3 months Stay of execution for 3 years. He added that the Judge extended the detention of Kayed Alrajabi until 10 – 09 – 2015 to decide the code of conduct and rule against him. The lawyer Mohammad added that session for the following were set: Amjad Alsalaymeh on 16 – 09 – 2015, Yousef Abu Assab and Mohammad Abu Sneineh on 21 – 09 -2015, the prosecution retracted the indictment against Abu Sneineh and Muhanad Al Safadi on 02 – 11 – 2015 and Adham Qiresh on 19 – 10 – 2015. The Judge decided to release Abed Al Razeq Mustafa with a third party guarantee worth 5 thousand Shekels. 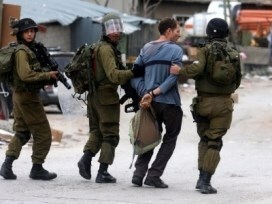 The occupying forces arrested early Wednesday morning 4 Jerusalemites from Al-Thori neighborhood in the town of Silwan. The lawyer at Al-Dameer institution Mohammad Mahmoud stated that the Israeli forces arrested 4 Jeruselamites from Al-Thori, they are: Ahmad Taleb Idrees, Taleb Idrees, Zakariya Idrees, Amjad Idrees. A number of Palestinian sick prisoners suffer serious health deterioration in Israeli jails due to the deliberate medical negligence, Palestinian Prisoners Society (PPS) said. The prisoner Mohamed Ibrash, 36, who is sentenced to three life terms plus 35 years suffers from a serious health deterioration as he is in urgent need to two operations on his eyes and ears. His left leg was amputated after being shot during his detention. The prisoner Ibrahim Ghussein, 38, suffers from a neck tumor and high blood pressure, in addition to eye problems and severe headache. He was arrested in 2009 and sentenced to six years. The detainee Read Jabari, 37, suffers from breathing difficulties. He didn’t receive any medical treatment since his arrest last February. Jabari was arrested from his home and held in administrative detention for six months. He was arrested more than once and held administratively for nine months over his support to prisoners’ issue. The prisoner Iyas Rifai, who is sentenced to 11 years, was subjected to severe attack at hands of Israeli jailers while being transferred to Assaf Harofeh hospital despite his difficult health situation. 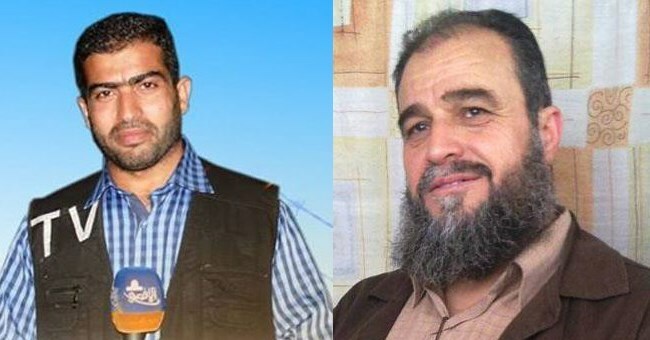 The Palestinian Prisoners Society has reported Wednesday that two ailing detainees, held by Israel, suffered sharp health deterioration, while Israel continues to deny them the right to specialized medical treatment. The PPS said the Israeli Prison Authority is even refusing to grant them the right to medical examination, for proper diagnoses, especially since they likely require surgeries. 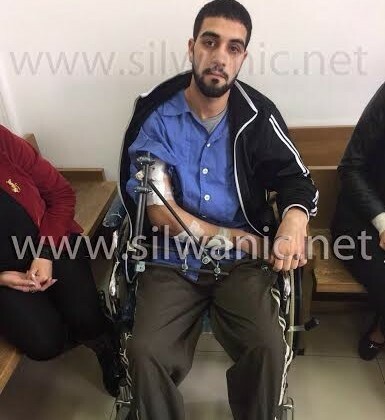 A PPS lawyer managed to visit Mohammad Ebrash, 36, from the central West bank city of Ramallah, and said the detainee requires various surgeries in his eyes, ears and one of his arms, and that he was shot and injured prior to his arrest, causing him to lose one of his legs. Ebrash is currently held in the Eshil Israeli prison; he was sentenced to three life terms and additional 35-year imprisonment. The lawyer also visited detainee Ibrahim al-Ghaseen, 38, who suffers a 10-centimeter long tumor in his neck, and that the growth is gradually enlarging, causing him to suffer serious breathing issues while sleeping. The detainee also suffers a detached left eye retina, migraine, high blood pressure in addition to various health issues in his stomach and intestines. 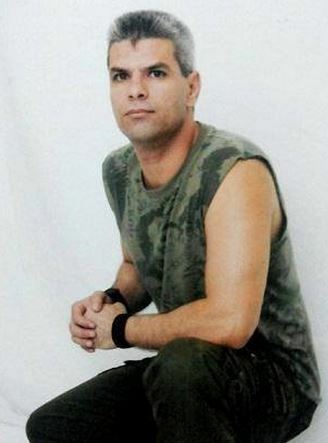 He was taken prisoner in 2009, and was sentenced to six and a half years; he is currently held in the Ramon Prison. Israeli soldiers invaded, on Wednesday at dawn, the ath-Thoury neighborhood in Silwan town, south of the Al-Aqsa Mosque, in occupied East Jerusalem, and kidnapped four family members. The army also kidnapped two Palestinians from Bethlehem and Jenin. The Jerusalem Detainees’ Committee has reported that dozens of soldiers invaded the ath-Thoury neighborhood in an attempt to kidnap a Palestinian, and clashed with local youths. 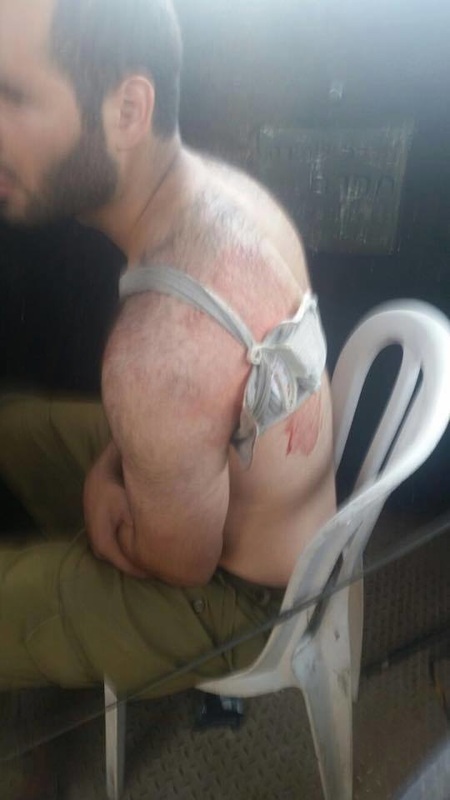 The army then kidnapped Amjad, 20, Talab, Zackariah and Ahmad Edrees, after repeatedly kicking and beating them, and moved them to the al-Maskobiyya interrogation facility. In addition, soldiers invaded Nahhalin village, west of Bethlehem, and kidnapped Abdul-Karim Mohammad Shakarna, 20 years of age, after violently searching his family home. The army also invaded Hizma town, north of Jerusalem, in addition to Tarqoumia town and Hebron city, in the southern part of the West Bank. 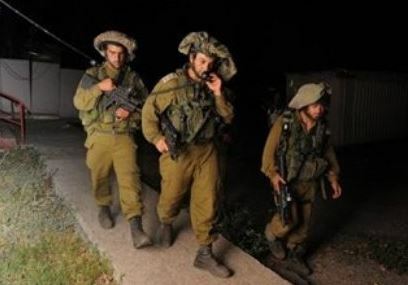 On Tuesday at night, soldiers kidnapped a Palestinian, identified as Ahmad Nabil N’eirat, from Meithaloon village, southwest of the northern West Bank city of Jenin, after stopping him on a sudden roadblock near Qalqilia. Shooter, a member of the PA's elite Force 17 unit, arrested after calling police and boasting of attack; four other accomplices also arrested. Israeli security forces arrested the terrorist who killed Israeli hiker Danny Gonen near the settlement Dolev in the West Bank, along with four other suspects, it was cleared for publication on Wednesday. The shooter was identified as Muhammed Abu Shaheen, 30 years old from Qalandiya, is a member of the Palestinian Authority's elite Force 17 unit. He was imprisoned between 2006-2008 after confessing his intention to carry out a terror attack. During questioning, Abu Shaheen confessed to the shooting and said he had collected intelligence before committing the attack. He also admitted to six other shooting attacks in the last year, including one in November 2014 in Al-Ram, in which a soldier was wounded. The five were arrested about a week and a half after the attack, when troops raided the suspects' homes. According to investigators, there was no connection between the arrested cell members and the cell that committed the terror attack near Shvut Rachel, in which Israeli Malachi Rosenfeld was killed, or the shooting at an ambulance near Beit El. However, the Shin Bet reportedly made new discoveries about those attacks over the last few days. Aharon Gonen, Danny's uncle, said he had spoken to the victim's mother and that the arrests had brought back very difficult emotions. "She is still upset," he said. "Every development or event causes a flood of emotions and brings up all the thoughts and longing again. We never for a moment doubted that security forces would get their hands on the terrorists, and we also knew it could take days, weeks, or month." Gonen said the family was told earlier in the week that progress has been made in the case and that Palestinian suspects have been arrested. The attack took place on June 19, when Gonen and a friend were driving away from a spring near the Dolev settlement in the Binyamin area of the West Bank. A Palestinian man signaled for them to stop as if to ask for help before firing at them from point-blank range, critically wounding Gonen. The case reached a turning point when the Judea and Samaria District emergency center received a call from the attacker, saying he committed a terror attack and shot Israelis. The Shin Bet then traced the call, leading them to Qalandiya. One of the arrestees was Amjad Aduan, 35, who was previously detained for planning terror attacks. He is suspected of supplying Abu Shaheen with ammunition and served as a lookout at several shooting attacks. The other suspects who were arrested are Asraf Amar, a 24-year-old member of PA military Intelligence, Fatah member Osama Assad, 29, who was released in the Shalit deal and is suspected of hiding the gun that Abu Shaheen used for the attack in his home; and Muhammed Aduan, 37, who has no history of security offenses, who is also suspected of hiding weapons for Abu Shaheen. The terror cell belongs to the Tanzim militia founded by Fatah, which has been working to rebuild its infrastructure in the West Bank over the past year. 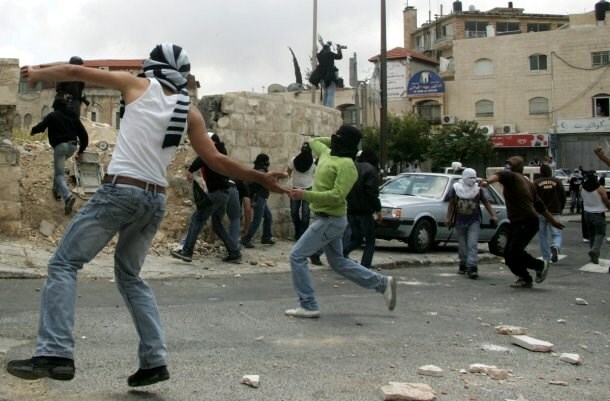 These are young terror operatives, who do not answer to Fatah or the Palestinian Authority. Rawan Abu Matar stabs Netzah Yehuda soldier in back near Nahliel in Binyamin, inflicting light-to-moderate wounds; security forces apprehend attacker. A Netzah Yehuda Battalion soldier was stabbed by a young Palestinian woman near the settlement of Nahliel in the Binyamin area of the West Bank on Wednesday afternoon. The soldier was taken to Tel HaShomer Medical Center in Ramat Gan in light-to-moderate condition. The IDF spokesman said the Palestinian arrived at a military post and stabbed the soldier in the back. She was apprehended and taken for questioning. She was identified as Rawan Abu Matar, 22 years olf from the village of Beitillu, northwest of Ramallah. She is not a member of any particular group and is not known to security forces. In her interrogation, Abu Matan said her intention was to murder a soldier. Palestinian ex-prisoner Khader Adnan was transferred to hospital overnight Tuesday after his health status had gone downhill, the Palestinian Prisoner’s Society reported Wednesday. Medics at Jenin’s public hospital attributed Adnan’s exacerbated health status to the 55-day hunger strike he had initiated in protest at being held administratively, with neither charge nor trial, in the Israeli occupation jails. Preplanned medical neglect along with the pressure to which he has been subjected right after his release made matters worse for Adnan, the same source added. The ex-prisoner underwent urgent medical check-ups and is currently kept under meticulous supervision at the hospital. Adnan’s family spoke out against Israeli attempts to mar the Joy felt by their son and his relatives in the wake of his release. Adnan hailed all Palestinians and the world’s free people on the occasion of the forthcoming Eid Al-Fitr. Palestinian ex-prisoner Azzam Shweiki was rushed to a local hospital in al-Khalil as his health status has sharply deteriorated hours after he was released from the Israeli occupation jails, head of the Prisoner’s Society in al-Khalil, Amjad al-Najjar, said. Al-Najjar said ex-prisoner Shweiki was released from Israeli jails after he served a two-year administrative sentence. Shweiki has been diagnosed with cardiovascular disorders and hypertension. Earlier he underwent an open-heart surgery. Shweiki, a father of five, had reportedly been detained by the Israeli occupation army four times before and had spent a total of more than six years in Israeli lock-ups. The Judges at the district and Magistrate court extended the detention of 4 Palestinians and provided the public prosecutor with indictments against 9 minors from the neighborhood of Bait Hanina. The lawyer of Al-Damir institution Mohammad Mahmoud stated that the Judge at the district court extended the detention period of the young man Mahmoud Abu Usbaa’ that is accused of committing the stabbing operation in Jaffa Street in West Jerusalem until 14 – 07 – 2015. The Judge extended the detention of Atiyah Iwisat until 20 – 9 -2015, and Walid Aliyan until 10 – 09 – 2015 and Isam Nasser until 14 – 07 – 2015. The lawyer stated that the public prosecutor provided indictments to the Magistrate court against 3 minors who are: Mohammad Jaber, Mohammad Tayeh and Nour Abu Hadwan which included “throwing rocks at settler’s vehicles in Bait Hanina”. A Court session was appointed for Mohammad Abd Alrazek on 18 – 10 – 2015 and Mohammad Jaber Abasi on 06 – 10 – 2015 and Tawfiq Abu Idhem on 16 – 09 – 2015 and they are not arrested. The lawyer Mahmoud added that the Judge at the Magistrate Court decided to release the boy Ahmad Abu Gharbiyeh with a financial bail of 1500 Shekels and a one week house arrest and a guarantee from a 3rd party. For his part, the lawyer at Wadi Hilwe information center stated that the public prosectutor gave indictments against Murad Alqam, SAleh Ishtayeh, Omar Yaseen, Omar AlTawil, Saif Altawil and Farid Altawil to the District Court that included throwing rocks at settler vehicles in Bait Hanina noting that they were arrested for several days and were recently released, indictments were given and the period of the house arrest imposed on them was extended. The Judges at the District and Magistrate Court extended the detention of 8 Jerusalemites and decided to release one youth after remaining 18 days in the occupation cells. The Lawyer at Al-Damir institution Mohammad Mahmoud stated that the Judge at the Magistrate Court extended the detention of the minor Abd Al Razak Mustafa until 15 – 07 – 2015. He added that the judge extended the detention of the youth Suhaib Alawar and Fahmi Haymouni until the end of the legal and judicial procedures held against them. In addition, a session was held for the two youth Baker Almughrabi and Issa Abu Juma’, and during the session (one of the terms of the indictment directed against them was canceled which is “throwing Molotov cocktails and fireworks”), another session for ruling was assigned for them on 12 – 10 – 2015. The lawyer Mahmoud stated that he has reached with the Public Prosecution to an agreement for the youth Mohammad Bseiso (13 months of imprisonment) with charges of throwing Molotov cocktails, a session was assigned for him on 18 – 8 – 2015 to set the ruling. The judge decided to release Adham Muhaisan after investigating with him in “20 Cells” for 18 days with a financial bail of a thousand shekels and a house arrest for 4 days and a third party guarantee. For his part, the lawyer at Wadi Hilwe information center stated that the Judge at the Majestirate Court extended the detention of Firas Nidal Mahmoud and Imad Mahmoud Abu Sbitan until 16 – 10 – 2015. He stated that the Police called in the child Akram Ali Mustafa for interrogation at Al Maskobyeh detention center, and after detaining him for several hours the released him without any terms or restriction. The occupying forces arrested 3 minors early Monday morning after breaking into their houses in the village of Al-Isawiyeh, and handed a boy a letter for investigation. Mohammad Abu Al Humus a member in the follow up committee in Al-Isawiyeh village stated that the occupying forces arrested the minors Firas Nidal Mahmoud and Abd Alrazek Mousa Mustafa. Abu Al Humus said the violent clashes broke out in Al-Isawiyeh in conjunction with the execution of the arrest operation; the forces threw gas bombs heavily in the direction of the houses which led to suffocation of the local residents. 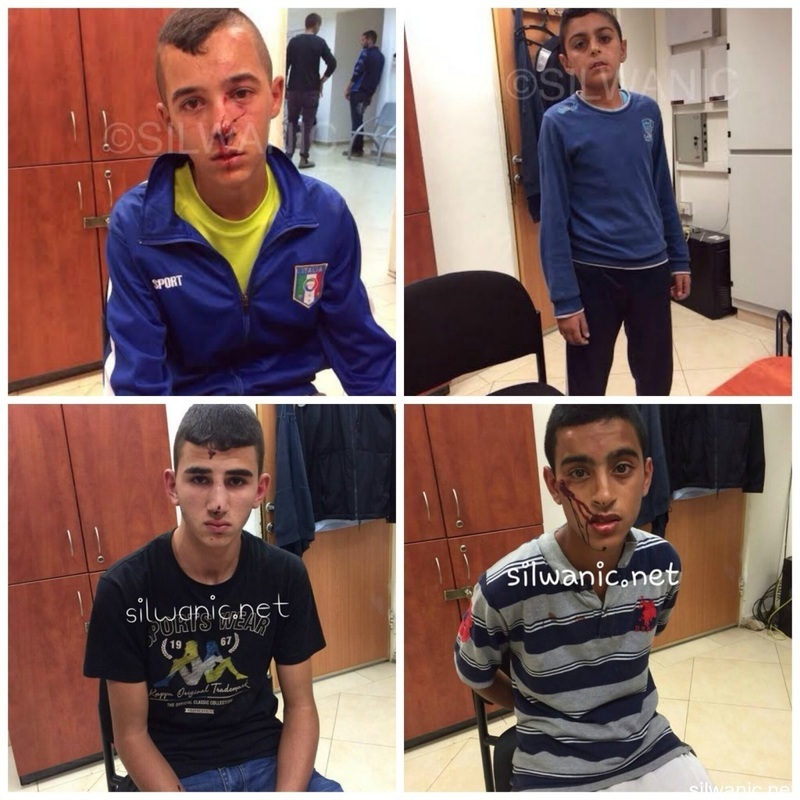 The lawyer of Wadi Hilwe information center stated that the Israeli forces arrested 3 minors from Al-Isawiyeh and were moved to interrogation, they are Firas Mahmoud 17 years of age and Abd Alrazek Mustafa 15 years of age and Imad Mahmoud Mohammad Abu Isbitan 16 years old. He added that the forces arrested two minors from the old city of Jerusalem whom are: Tayseer Hijazi 17 years old and Mohammad Tufaha 16 years old. The young man Mohammad Aweidah was wounded today after being assaulted by Israeli guards while present in the area of “Mamila” in West Jerusalem causing him a leg fracture. The lawyer at Al-Dameer institution Mohammad Mahmoud stated that Israeli guards assaulted on Monday evening two young men Mohammad Aweidah and Muath Shyokhi during their presence in the area of Mamila under the pretext of “their attempt to commit a stabbing operation and assault the police”, during that the police arrived and arrested both of them. He said that the judge at the Magistrate Court decided to release both the young men Muath Shyokhi and Khaled Aweidah. The lawyer Mahmous said the the young man Khaled Aweidah suffered from a fractured leg due to the assult, whereas Shyokhi suffered from bruises. He also added that the Judge decided to release Aweidah and Shyokhi under the terms that both keep their distance from the area of “Mamila” in West Jerusalem for two weeks with a third party guarantee in addition he imposed a financial guarantee of 1000 shekels on the young man Aweidah. 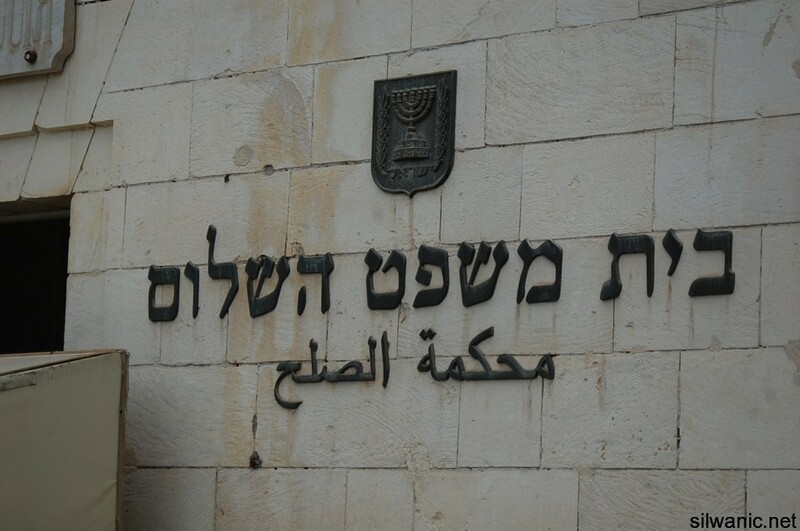 On the other hand the Judge at the District Court extended the detention of the young man Mahmoud Abu Usba’ – for pleading and judgment – until 16 – 09 -2015 and during today’s session the “indictment was amended” noting that he is accused of stabbing a settler in Jaffa Street. The Lawyer Mahmoud added that an agreement was reached with the public prosecution for the young man Mohammad Anous (imprisinmont for two and a half months), and a session was arranged for 12 – 08 – 2015 to set the ruling. Both Sultan Alsayad and Mohammad Abu Juma’ sttod in court and a session was set for both of them on 03 – 09 – 2015. In addition, Saleh Abu Assab was presented infront of the Judge and the release terms were amended for him (by erasing his deportation to the village of Bait Safafa and house arresting him in his house in Al Isawiye). Also, Husam Elian was presented to the court and the house arrest imposed on him was extended. The Judge decided to release Issam Nasser with a financial bail of a thousand Shekels and third party guarantee and a house arrest for 10 days. The captive doctor Sabrin Abu Sharar, 26, from Dura town in al-Khalil is spending these holy days of Ramadan behind Israeli bars. Abu Sharar has been harshly interrogated and tortured in the Israeli Ashkelon prison throughout the month of Ramadan for long hours and on daily basis, according to her lawyer. From inside her dark cell, Abu Sharar doesn't know Iftar time (the time of the breaking-fast meal in Ramadan) and she can't tell whether it is day or night as there is only a dim light in the ceiling. According to the Palestinian Prisoner Society, there are three female captives locked up in solitary confinement cells: Siham al-Battat, Dr. Sabrin Abu Sharar, and the lawyer Shirin Isawi. For her part, The Palestinian lawyer Hanan al-Khatib revealed on July 13 that Sabrin Abu Sharar is subjected to severe physical and psychological torture, harsh detention conditions, and strip searches, let alone the threats to arrest and assault her family members. The family of Dr. Sabrin said that they have been banned from visiting their daughter since she was arrested on June 7, 2015. 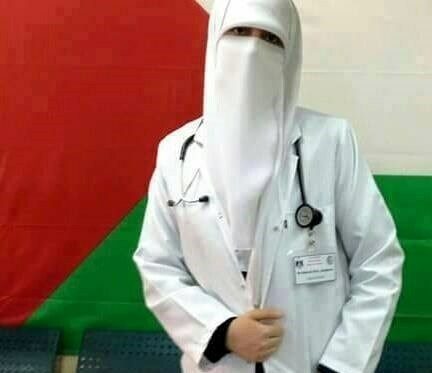 "Sabrin came back to Palestine five months before after studying Medicine in Egypt for six years. Sabrin is not engaged in any political or social activity," the family of Dr. Sabrin said, adding: "We are concerned over her health condition and we call for releasing our daughter." According to the institutions concerned with prisoners' affairs, there are 25 Palestinian female captives currently held in Israeli jails. Mohammad Al Salaymeh is sentenced for 25 years in prison with a financial fine that reaches to a quarter million shekels. The District Court issued on Sunday a ruling of Actual imprisonment for 25 years on the young Jerusalemite Mohammad Mahmoud Al Salaymeh with charges of attempting to kill with a backdrop of “Nationalism” by executing a run over operation on Road number 1 in the city of Jerusalem. The lawyer of Al-Damir institution Mohammad Mahmoud stated that the judge at the District Court sentenced his client Al Salaymeh actual imprisonment for 25 years, prison with two years suspended for 3 years. The lawyer Mahmoud added the Courts Judge imposed his client a financial penalty of 240 thousand shekels, (a compensation for the 4 female soldiers that were injured during the run over operation), 200 thousand for two of the soldiers and 40 thousand for the other two. The young man Al Salaymeh was arrested on 06 – 03 -2015 after getting injured with bullet fired from “the security of the Metro” after executing the run over operation on female soldiers and a settler on road number 1. 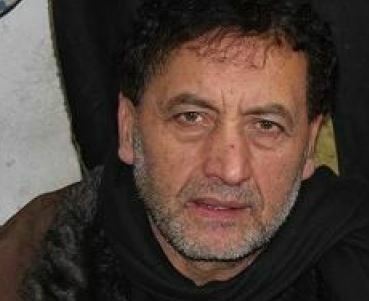 It is said that Al Salaymeh was hit with 3 bullets during his pursuit (a bullet in the hand, a bullet in the back and a bullet in his left foot), several surgeries were conducted on him and he was interrogated while he was in hospital and at the begging of his arrest several sessions were held in his absence due to his critical health situation. 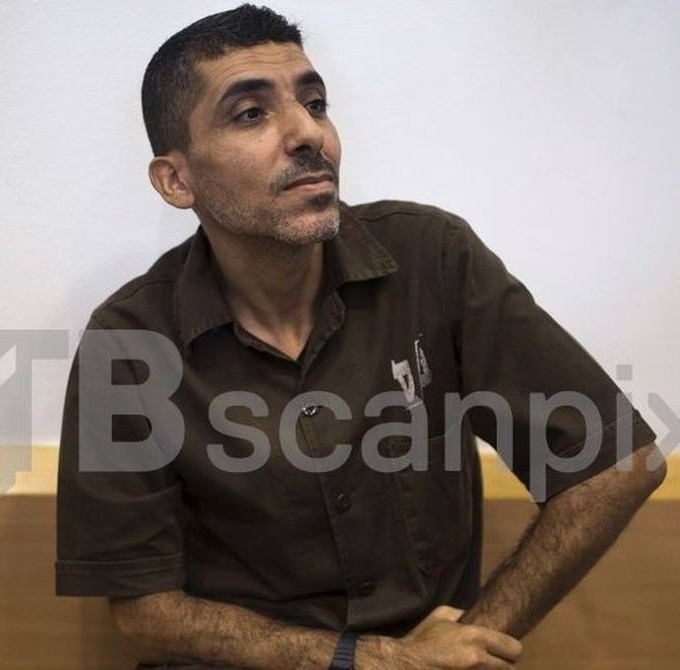 The Beersheba District court sentenced on Tuesday the Palestinian prisoner Dirar Abu Sisi to 21 years in jail after charging him of developing Hamas’s rockets. Israeli authorities claimed that he admitted five charges filed against him including "conspiracy to commit murder, arms manufacture, membership in a terror organization, and possession of weapons." The Palestinian-Ukrainian detainee Dirar Abu Sisi, 45, has been held in solitary confinement for four years since being kidnapped in the Ukraine by Israeli Mossad in February 2011. Since his kidnapping, he has remained incarcerated in Israeli prisons under extremely poor conditions; he is currently suffering from debilitating health conditions and psychological trauma. He has endured torture, humiliation and inhuman treatment from Israeli prison authorities. Israeli occupation authorities are also preventing his Ukrainian wife and children from visiting or speaking to him. The Israeli Occupation Authorities (IOA) released on Monday the Palestinian MP Riyad Radad, 55, after spending a whole year in Israeli jails. Radad was detained along with hundreds of Hamas supporters, leaders, and MPs after the kidnapping and killing of three Israeli soldiers last summer. Salem Military Court had sentenced Radad to one year in jail after he was charged with "taking part in enticing marches in support of prisoners." He previously spent seven years behind Israeli bars. Seven other Palestinian MPs remain in Israeli jails, some of them are held in administrative detention (without charge or trial). The imprisoned MPs are Marwan Barghouthi, Ahmad Saadat, Muhammad al-Natsheh, Muhammad Badr, Azzam Salhab, Muhammad Abu Tair and Khalida Jarrar. Along the same line, the IOA released overnight the leader in Hamas Movement Sheikh Nazih Abu Aoun after he was held in an Israeli prison for a year. Abu Aoun’s release came few days after he completed his one-year sentence. The newly-released prisoner described the prisoners’ detention conditions as bitter, pointing out, however, that they enjoy high spirits especially after Israel admitted the capture of a number of its soldiers by Hamas’s armed wing. 0404 Hebrew website claimed on Tuesday that two Palestinians from Occupied Jerusalem have been arrested for possessing M-16 gun. The website revealed that the arrest took place at Zaatara military checkpoint to the south of Nablus city in the northern West Bank. It claimed that the two young men drove their Golf vehicle to the barrier where it was subjected to search by IOF soldiers who found the gun and rounded up the men. They were taken to the Shin Bet for investigation. At least 41 Palestinian students enrolled at al-Khalil University have been detained by the Israeli occupation authorities (IOA) and prevented from pursuing their academic careers. According to the Prisoners’ Media office Palestinian students have been permanently targeted by the IOA as part of intents to quell their activism and intellectual potentials. Starting on July 7, 2015, a group of students launched a campaign entitled “My friend is in jail” in solidarity with their detained colleagues. The campaign aims at mobilizing mass support for the cause of Palestinian students locked up at the Israeli occupation jails and are, therefore, denied the right to pursue their own careers. The prisoners’ information office called on all university students across the occupied Palestinian territories to initiate a similar campaign in solidarity with Palestinian students at Israeli prisons. Israeli authorities have released Khader Adnan for the second time in two days after midnight, Monday, after briefly rearresting the veteran Palestinian hunger striker in East Jerusalem, just a day after he was released from 11 months in prison. The Palestinian liaison office moved Adnan from an Israeli detention center to Beitunia west of Ramallah at around 1 a.m., and he was then taken by car to his home village of Arraba in southern Jenin. 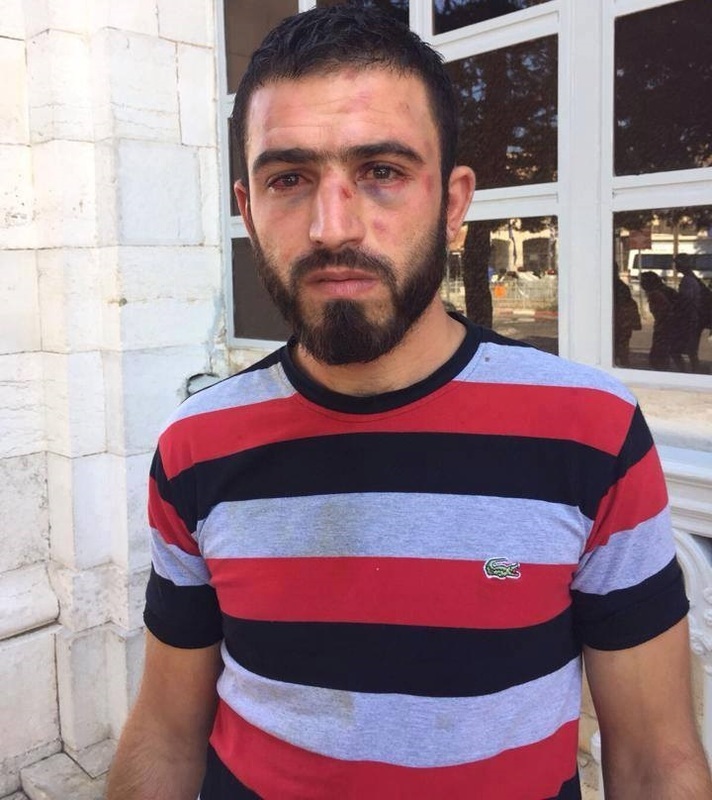 He was detained on Monday evening as he was heading into Jerusalem's Old City to take part in Laylat al-Qader prayers and it was found that he did not have the necessary permits. An Israeli police spokesperson told Ma'an News Agency that he had "entered Jerusalem illegally." Israeli police held him for several hours for questioning before they decided to release him. The Palestinian liaison office said they were satisfied with Adnan's health following the detention. Laylat al-Qader, meaning the Night of Destiny, takes place toward the end of the holy month of Ramadan, and according to Muslim belief marks the night the first verses of the Quran were revealed to the prophet Muhammad. Thousands of Palestinians were expected to visit Al-Aqsa mosque compound to mark the occasion, although Israel laid down stringent access restrictions ahead of it. All Palestinian men between the ages of 12 and 30 were denied entry into occupied East Jerusalem, while men between the ages of 30 and 50 required Israeli permits. Women between 16 and 30 also required permits to enter the city. The Israeli authorities previously agreed to release Adnan in the early hours of Sunday after they struck a deal to end a 55-day hunger strike he began in June to protest the Israeli practice of administrative detention. He was detained in July last year and sentenced to administrative detention for the 10th time in his life. His hunger strike, which brought him near death by the time it concluded last month, was the second he undertook, following a 66-day long hunger strike in 2012. The deal struck with Israel on June 29 was only possible after Adnan withdrew his demand that Israel agree to never place him under administrative detention again.